Ricky is an Associate Director with over 10 years experience, working in our corporate finance team. After obtaining his BA in Business Economics from the University of Liverpool in 2003, Ricky joined Grant Thornton in Reading. 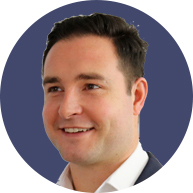 During his career Ricky has lead projects in audit, recovery and reorganisation, transactional due diligence and corporate finance and has worked with a range of dynamic businesses at varying stages of the business lifecycle – from pre-revenue start-ups to FTSE350 listed entities. This has given him a unique insight into what drives value within an organisation as well as what can detract from value. Ricky has recently completed strategic advisory assignments with a digital print services provider and a global IT outsourcer. Ricky’s recent lead advisory transactions include the sale of GT Group to Knorr-Bremse, a German conglomerate. Ricky lives in Stokenchurch with his wife Kate and their two children: Anouska and Max. When he is not working on transactions, Ricky enjoys playing golf, football and competing in triathlons. Although he would admit he enjoys chilling and watching movies with his family just as much.